Tottenham Hotspur are looking to cash in on first-team defenders Kieran Trippier and Serge Aurier at the end of the season. Both players are deemed surplus to requirements by Mauricio Pochettino as the Argentine manager wants to fund a move for a new right back. 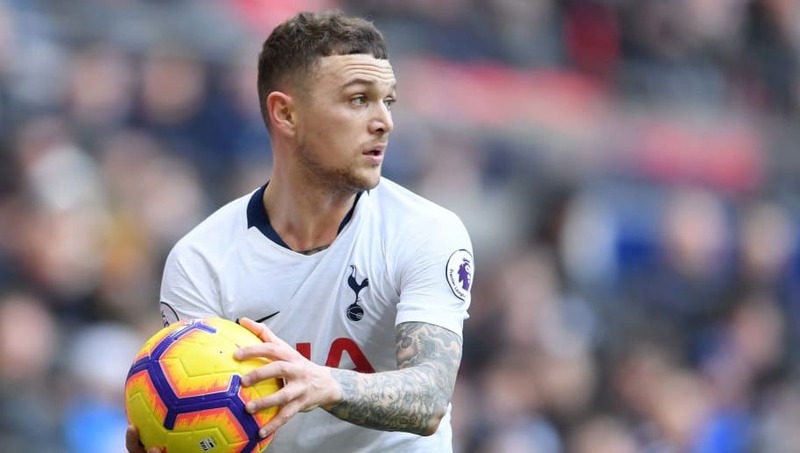 A report from The Sun claims that Everton have renewed their interest in Trippier and they would be able to sign the England international for £20m, while Tottenham are prepared to sell Aurier for half of the £23m which they paid to Paris Saint-Germain in 2017. The report adds that Pochettino hopes the money they recoup will be able to fund a move for Crystal Palace star Aaron Wan-Bissaka or Norwich City's Max Aarons. Wan-Bissaka has been heavily linked with a move away from Selhurst Park ever since he broke into the club's first team last season, with the likes of Manchester United, Manchester City and Arsenal all being linked with the England Under-21 international. He has a contract with Crystal Palace until 2022 having signed an extension with the club last year, but the 21-year-old has reportedly been slapped with a £40m price tag to fend off interest from the Premier League's big six. Norwich's Aarons, who plays international football at Under-19 level, was only brought into Daniel Farke's first team at the start of the season but he's gone on to make 34 appearances for the club across all competitions. The 19-year-old has been directly involved in eight goals for the Canaries, helping them to the top of the Championship table and on course for automatic promotion back into the Premier League.